The thing is not to write what no one else could have written, but to write what only you could have written. 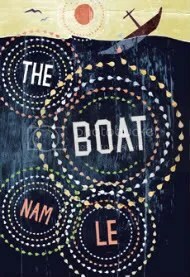 The Boat is a collection of seven short stories from author Nam Le. Some are more vignettes than short stories, and all showcase Le’s incredible writing talent. Nam has an amazing ability to get inside his character, be it a 60-year-old man just learning he has cancer or a 9-year-old girl in Hiroshima days before the atomic bomb. The extensive detailing Le does gives the worlds he writes a certain reality, right down to speech patterns and slang. Love and Honor and Pity and Pride and Compassion and Sacrifice: This first story is a view into the life a young Vietnamese writer in Iowa City, who is up against a deadline in his writers workshop. He scoffs at the idea of stooping to writing an “ethnic” story, but with his father’s visit, he decides to write the story of his father’s experiences in My Lai, South Vietnam army, and the tortures of a “reeducation” camp. Through the interviewing of his father, the relationship with whom has always been strained and somewhat distant, possibly even abusive, both come to understand one another better. Cartagena: Nam’s writing style in this short story is reminiscent of Cormac McCarney’s. The lack of quotation marks and the quick changes of settings are disorienting, adding the sense of surrealism in the life of Ron, the 14 year old hit man in Medellin, Colombia. InHalflead Bay, Jamie has a turn of luck and goes from a loser to school hero after scoring the winning goal. Because of it he catches the eye of Alison, and because of that he’s in the cross-hairs of Alison’s psychotic boyfriend. Jamie must decide whether he will remain the coward he had been or will he fight. Hiroshima, written in the stream of consciousness of nine-year-old Mayako, is glimpse into the mindset and life of the Japanese pre-atom bomb. Tehran Calling is the story of a Sarah Middleton, who goes to Iran to visit her best friend, who’s involved in a subversive group, and to escape the heartbreak of a love lost. The Boat is a heartbreaking story of the reality of the dangers many refugees face. It is a story of survival, loss, and new connections. This story is particularly close to my heart as it is about a 16-year-old Vietnamese girl named Mai, which is my youngest daughter’s Vietnamese name. Nam Le’s writing is visceral and beautiful at the same time. His style varies in each story appropriately as each story’s characters and subject matter wants it. He is sensitive to the emotions and world of his characters and shows an amazingly real view into the lives of the mains. The intricacies of a 14 year old assassin’s life in Colombia to a 60 year old man in New York City dealing with cancer and loss are so real that you forget it is written by a young Vietnamese man in Australia, as each story’s characters are as real as if you were watching them via spy-cam. Le’s writing is hypnotic and compulsive; he is a literary pied-piper and I cannot help being carried along through the stories. From a personal perspective, I love the first and last stories the most, as they deal with Vietnamese characters. My youngest daughter’s father is from Saigon (Ho Chi Minh City), and he came to the US in 1996. His father came to Los Angeles shortly after his release from a “re-education” camp, followed by his wife a few years later. My ex, with whom I’m still very close, followed a route common to many Vietnamese who immigrated in the mid-90’s and later: first to LA, then Iowa City to work for the meat-packing company IBP (now under Tyson, inc) and finally here in Logansport. 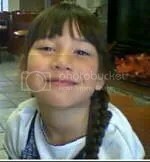 Because of my daughter, I am especially interested in everything Vietnamese, buying her any book I find on the subject or checking it out from the library, buying her CDs, cooking dishes for her (and ignore her two older sisters complaints about it when I do), and looking up sites and videos on the Internet. She is very proud of her culture, as I think she should be.